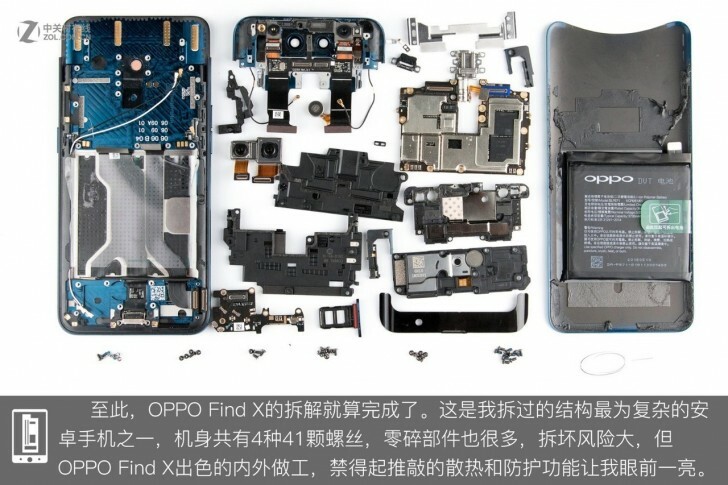 The Oppo Find X plays up to Oppo’s strengths – a motorized mechanism for the camera. It was cool on the N1 and it’s even cooler here. Here's a better look at the pop-up action without the back cover getting in the way. But how does it work? 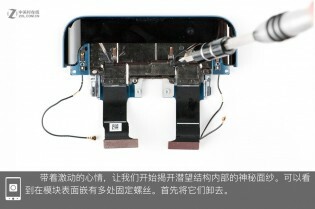 It’s similar to the NEX S and uses a linear actuator. You can see its motor in yellow and the guiding rails in red. 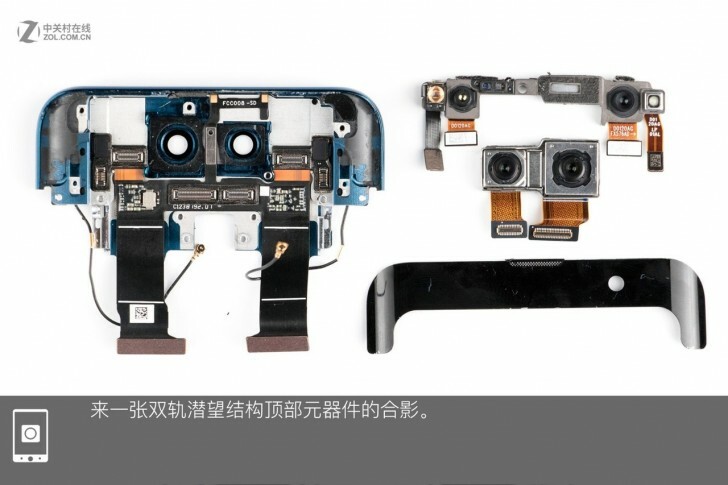 In green are the ribbon cables that hook up the cameras, 3D face scanner and other components to the rest of the phone (there are a couple of coax cables too, so perhaps an antenna). Here’s another look. The the screw turns the rotation of an electric motor to linear motion. 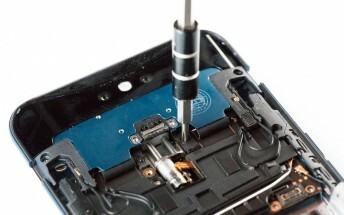 But we’re not seeing any springs here, on the NEX they helped protect the mechanism if it was pushed down. 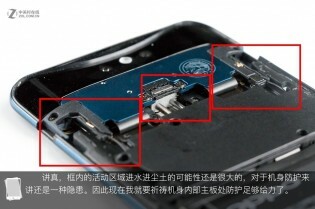 Anyway, look at how much of the internal volume is taken up by the mechanism. 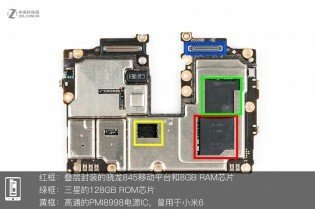 And yet Oppo managed to fit a 3,730 mAh battery, which is bigger than average for a flagship. The Oppo Find X is only the third phone to use structured light to get a 3D scan of your face as a way of biometric authentication. From right to left there’s the dot projector, the selfie camera, the IR camera and the IR fill light. Such a complicated module in so little space. 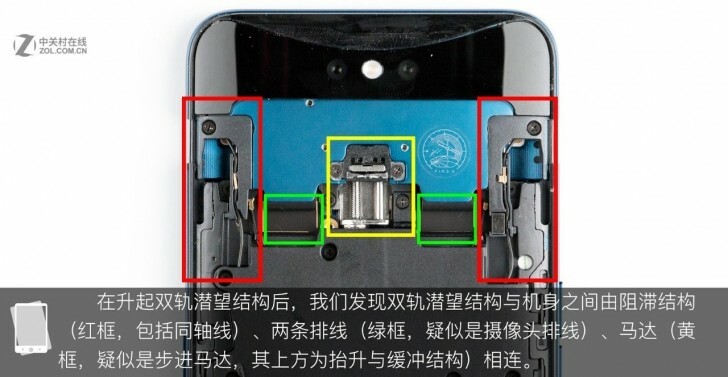 Below that you see the rear dual camera module. This is a flagship with a Snapdragon 845 chipset, 8 GB of RAM and 128 GB storage. And let's not forget the 20W VOOC fast charging. All these chips are surrounded by metal heat spreaders, which should give them some thermal breathing room.